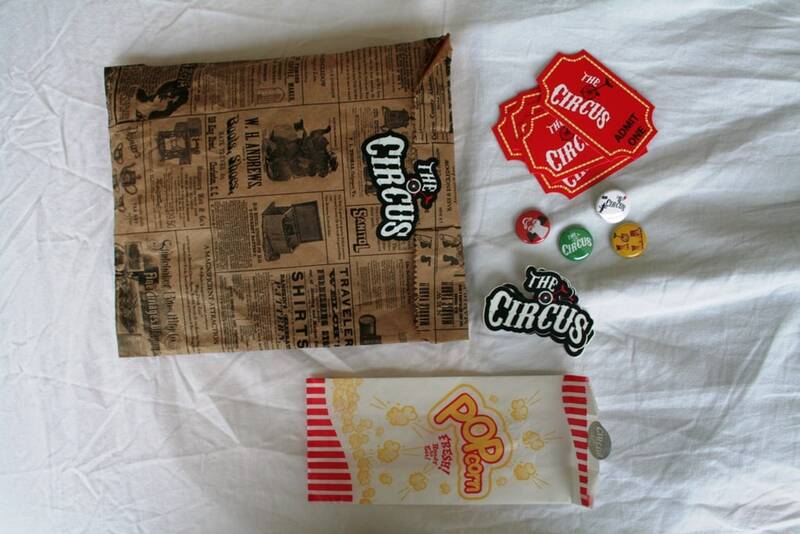 I was pleasantly surprised by the packaging and details that “The Circus” provided with their t-shirt. I felt as if I just hit the concession’s stand and was ready for the big show. The t-shirt was accompanied by their business cards, dressed to look like show tickets, logo stickers and funky little button/pins. Apart from popcorn grease marks and the smell of food, they took some care into working out the details of their circus theme. 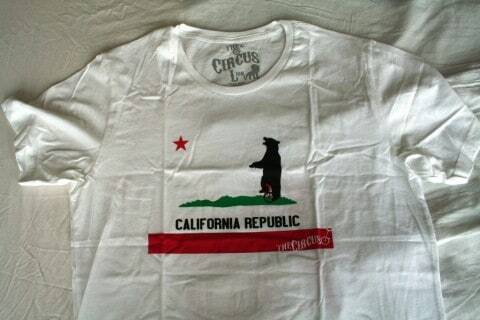 As soon as unfolded the “California Men” t-shirt, I immediately knew the manufacturer was Alternative Apparel. 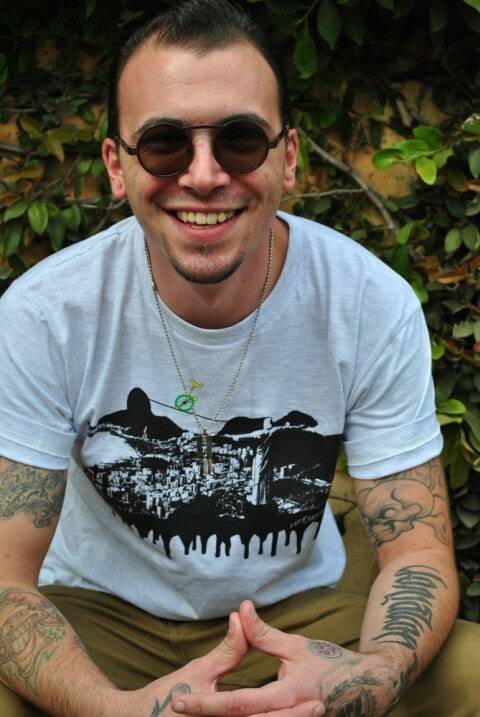 Being the owner of this particular type of t-shirt, I can tell you that they last for quite some time. My best guess is that I have washed my t shirt at least two dozen times and it’s quality has not diminished. “The Circus” brand is based out of Pasadena, California hence their “circusified” version of the California State flag for this graphic. There is more information on an initial post which Andy put up. 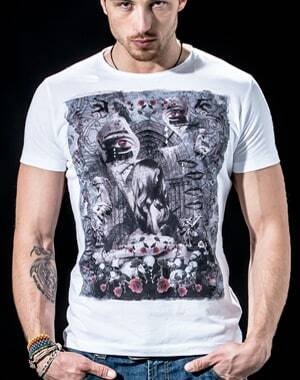 Apart from the use of a white t-shirt which tends to be a taboo choice for indie t-shirt companies, the printing quality is good and they used three colors which is a sign that they spent some money to produce these t-shirts. I would assume that the printing is plastisol ink which has a good shelf life. 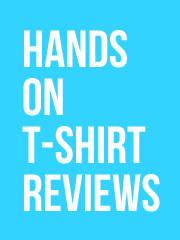 Overall, you cannot go wrong with their t shirt and print quality and the price is right for all the effort and care that went into their production. Now I have a hankering for some popcorn and a show. This isn’t a submitted post but Lucas over at The Circus has done a good job with his blurb so why should I spend time re-writing it? 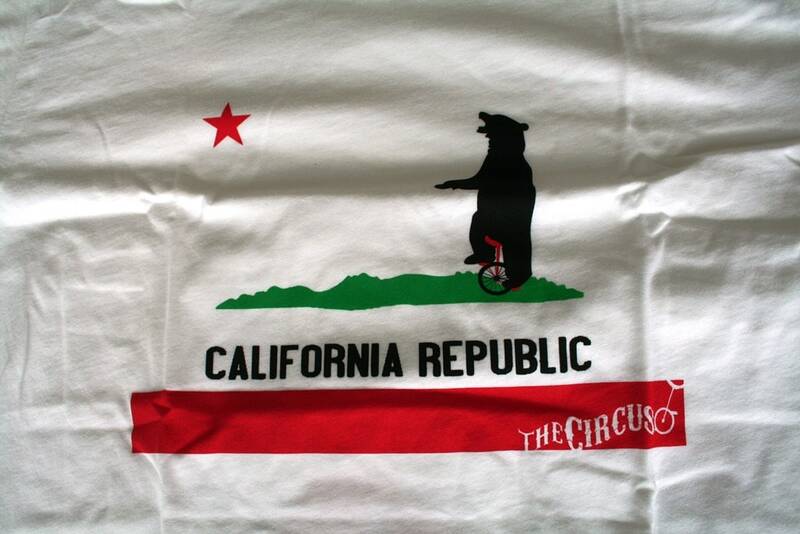 We are a new circus-themed brand based out of Pasadena, California. The designs put a fun circus twist on things such current events, pop culture and much more. 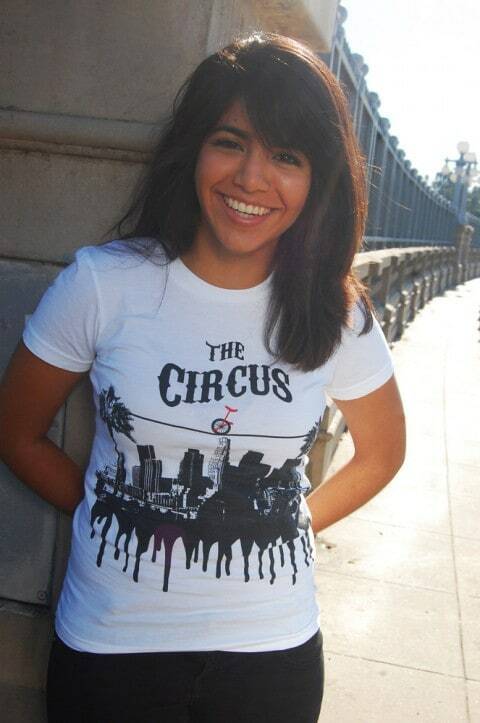 A circus is colorful, diverse, inspiring, & lively. At a circus, onlookers want adventure, fun, & entertainment. 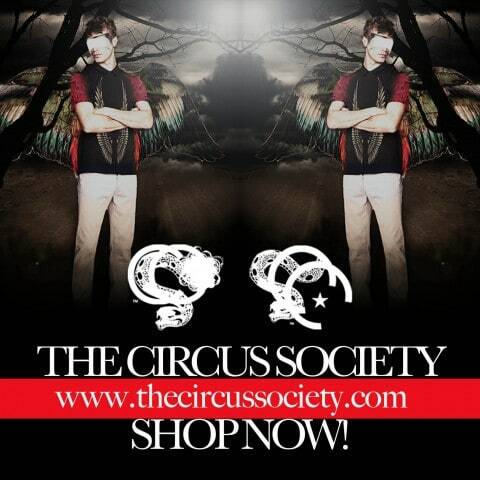 So, our mission is to deliver important messages to the public using the welcoming, fun-loving, and appeal of a circus. 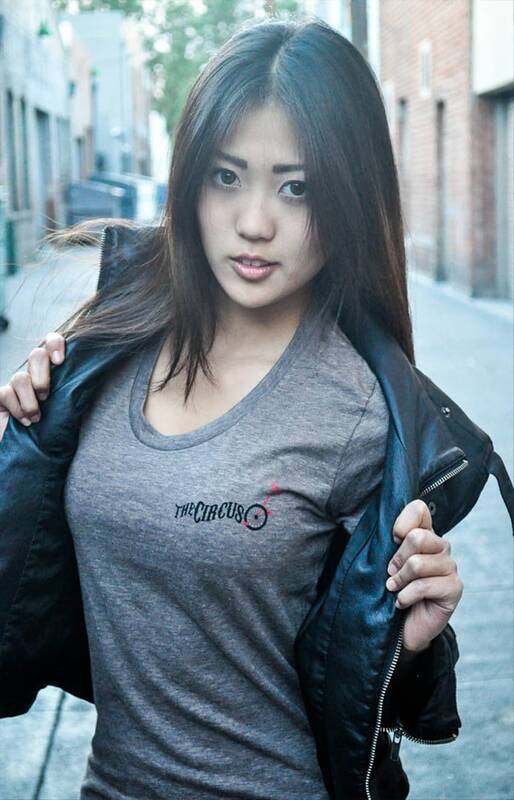 As an upcoming apparel company, our goal is to differentiate ourselves from other online apparel shops. So sit tight, we are going to bring you a great show. Don’t forget, we only make a select amount of merchandise — once it sells out we will never make the same product. Check the site often or you may miss out. 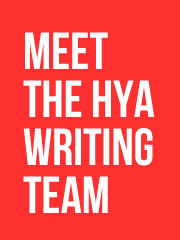 Use code “HYA” and receive 15% off your entire purchase. I like their designs and the concept is solid, priced well too with tees between $20 and $13. We should have a hands-on review coming up with these guys soon so be on the look out for that. I’m sure none of you actually thought I was dead, but nothing getting posted on HYA for almost a week is fairly unusual, so I thought I’d better confirm that I haven’t abandoned you. Since last Wednesday I have given myself severe sunburn in Santa Monica, driven to Las Vegas, stayed at the Circus Circus and didn’t have nearly as much fun as Hunter S. Thompson, met random dudes and a midget on the strip, flew to see the Grand Canyon, drove through Death Valley with the AC cranked way up, played in the snow on the way to Yosemite, almost fell asleep on the drive into San Francisco (my traveling companion would have been scared… if she wasn’t asleep too… it was a long day), and I’ve still got 8 days to go! Naked Sunday is a street wear label born in the heart of London. Naked Sunday’s debut collection, “The Odyssey [remixed],” is a modern twist on the epic saga of adventure, love, and fortune. The collection features six stories portrayed through a fusion of vivid photography and illustration. Interview with Artist, Omega Man 5000 – Also, New T-shirt at RIPT and Giveaway! Harry Gordon, or better known as Omega Man 5000, is just one of those t-shirt artists that has such a distinct and exaggerated style, it’s truly hard not to notice him. With his unusual color palette and chaotic motifs (and I mean that in the best of ways), his designs are meant to stun you and leave you somewhat perplexed, but definitely eager for more! 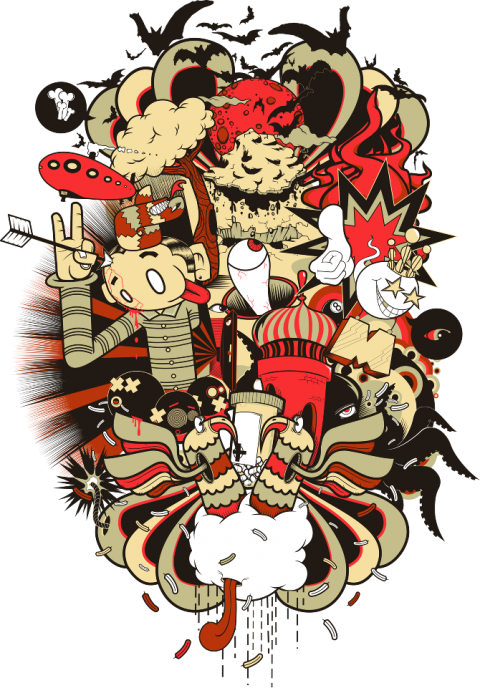 Not only does he design tees on the artsy side, but he also delves into the pop-culture world that is so popular these days. 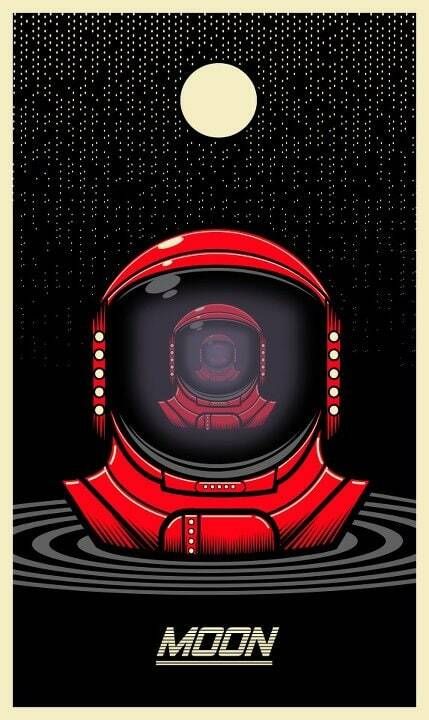 Omega has been printed at places like TeeFury, Design By Humans and only today he has a t-shirt up for sale at RIPT! (Pictured at the very top!) Fear and Loathing in Las Vegas and old school cartoon inspired, this one is appropriately titled, Fear N Loathing In This Foul Year Of Our Lord 1925 and not only can you buy the tee, there’s also a GIVEAWAY! All you have to do to be entered to win a poster of the design is “like” Omega Man 5000’s fanpage on Facebook, and share the post about the new tee at RIPT, easy! 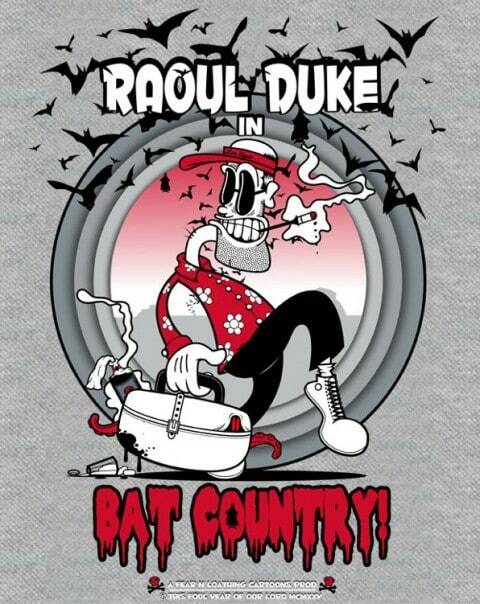 So in honor of his first print at RIPT, what would be better than to get to know the artist behind the tee! I asked him a few fun questions, and I got a few fun answers, that’s for sure. The most important question first – what tee are you wearing right now? 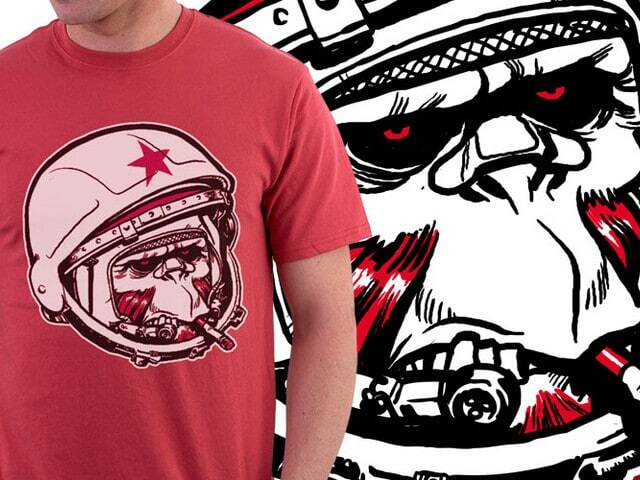 The awesome Cosmonaut by TheMightyTiki from DBH. You’re a bit mysterious, who hides behind the name Omega Man 5000? All I can say about that guy is there’s a lot of things about him you wouldn’t know anything about. Things you wouldn’t understand. Things you couldn’t understand. Things you SHOULDN’T understand. You don’t wanna get mixed up with a guy like him. He’s a loner, Leah. A rebel. If your art had a sound, what would it be? A zoo in outer space next door to a 3 ring circus in the 14th & 1/2 dimension. Quick – who’s the first artist (besides yourself obviously) that pops into your head that you would love to collaborate with? 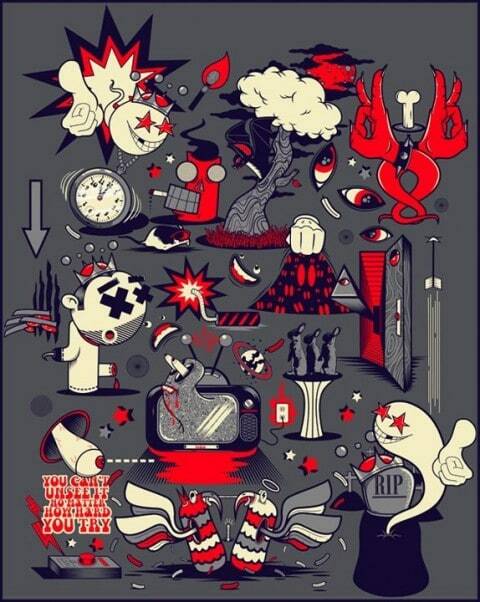 Artist-wise Jeremy Fish. Musically it’s a 3-way tie between C-Lo, MF Doom, and Die Antwoord. Movies-wise Guillermo Del Toro. A half shark half alligator half octopus. You might be saying well hold the phone that’s 3 halves? But no it’s not, see one half is half shark half alligator and the other half is full octopus… so yeah. If you had to wear one t-shirt for the rest of your life, which would it be? This question is way too hard to answer. 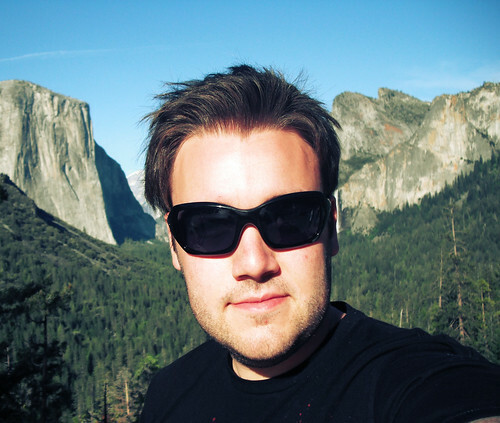 Thanks for chatting with us Harry, was a pleasure, but one last thing (and now let me get serious for a moment), do you have any parting tips for aspiring creatives like yourself, hungry to grow in the t-shirt world? 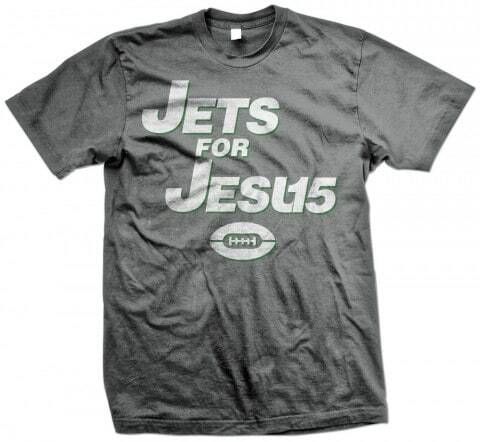 There are numerous pop-up shops on Ebay that are hocking Jesus’esque Tebowing shirts but I was able to find an Indie brand with an infatuation with New York City’s new star. 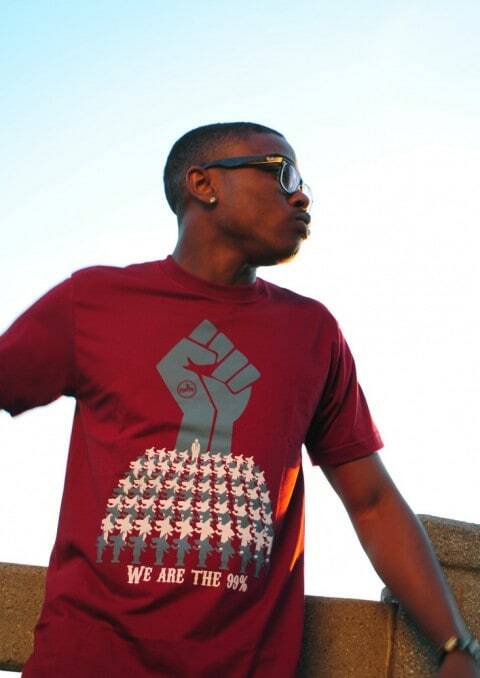 Mother Falcon – A Tshirt Democracy has two Tebow designs. The one pictured above and one called “Timsanity” which basically rips off the whole “Linsanity” phenom. James was a standout athlete at St. Vincent St. Mary High Schoolin Akron, and drafted by the Cavaliers in 2003. Getting drafted last year didn bum him out too much. The scouts didn get a full meal look at him. Practice I was doing some drills and pushed and my leg went one way and my ankle twisted the other. wholesale nfl jerseys I’d have felt awful had I been the one to botch Todd’s first true trophy striper. (For the curious, Todd’s 40 incher smacked a Spankin’ Stripers, three ounce parachute lure black head, chartreuse hair with ruby lips. )Todd isn’t a soldier, but he honorably cheap jerseys serves his nation just the same. For more than eight years the Silver Spring resident has worked at the Walter Reed National Military Medical Center with active and retired military personnel, fitting them with prosthetics to help improve their quality of life wholesale nfl jerseys. Impressive stuff, cool music too. Did any of my fellow Brits catch Concrete Circus on Channel 4 this week? Supremebeing got quite a lot of air time during that, which made a lot of sense considering the incredible feats of the athletes in the show (it was about making viral videos for freerunners, parkour, skating, BMX, that kind of thing). I found the whole show on 4od’s Youtube channel but can’t find it now, still search for Concrete Circus on Youtube and you’ll find the best bits anyway. When I stayed in Las Vegas last year, being both cheap and wanting to recreate that road trip sense of adventure I avoided the ‘nice’ and ‘clean’ hotels of the strip and booked Circus Circus (after 3 months without earning any money, you may have done the same) because that’s where Hunter S. Thompson stayed, and I thought that it’s old-time Vegas style would be kind of cool. I was wrong, and I won’t take hotel recommedations from a high novelist ever again. I think the worst part of Circus Circus was that one day the hallway smelled okay, and the next it smelled of urine, and continued to for a couple of days. Oh, and someone stole the cap off the gas tank of our rental car, and the windows were filthy, and there was a pube on my pillow every night even though I removed it each day (I would have preferred a mint. I will say this though, their key-cards look cool, and it was cheap enough that we could splurge on some decent vodka and a proper trip around the Grand Canyon, which makes it all worth while. 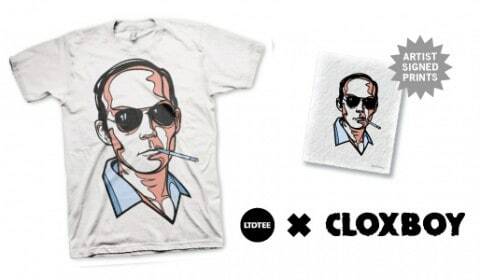 Buy the tee, which is cool enough that I should have probably talked about it instead of urine-soaked hallways, at LTD Tee for $26.99 (it comes with the signed art print, sticker pack and custom box, remember), or save yourself 20% with the coupon code hideyourarms. The tee is on sale from now until September 12th (Sunday). We’ve redesigned the site. Our new t-shirts from Laurina Paperina are on our interweb. She’s a simply amazing artist coming at ya straight outta Italy. Our Polyphonic Spree [Fragile Army] t-shirts are at the printers and we’ll be launching them on Valentines Day 2008. We now have girls tees. We’ve got hoodies for sale. 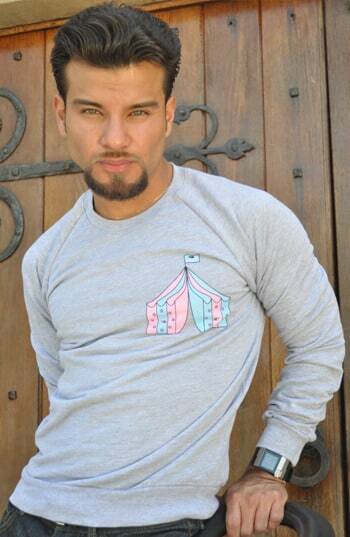 We’ve got long sleeved tees. We’ve got underpants. We’ve got bags – and we’ve got more bags that are different from the first bags. We’ve got new badges. We’ve got new art from the one, the only, the incredible, Chrissssssssss Judge. We have girls tees, I know I said that already but it’s worth repeating. We’ve got 4 amazing new artists lined up for 2008. We’ve still got free shipping and we’re giving you 10% off everything until Christmas because we’re just that nice. We, we, we, we, we, we.